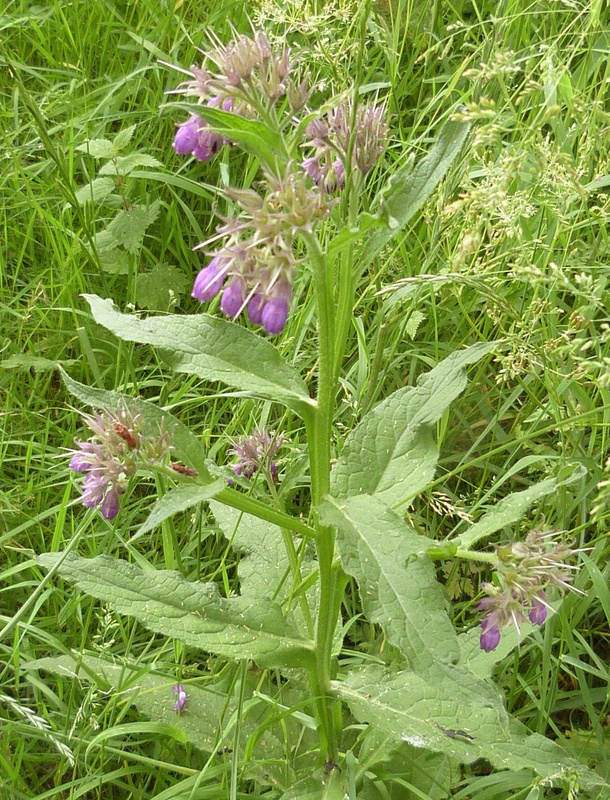 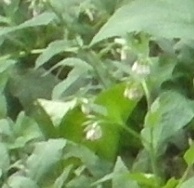 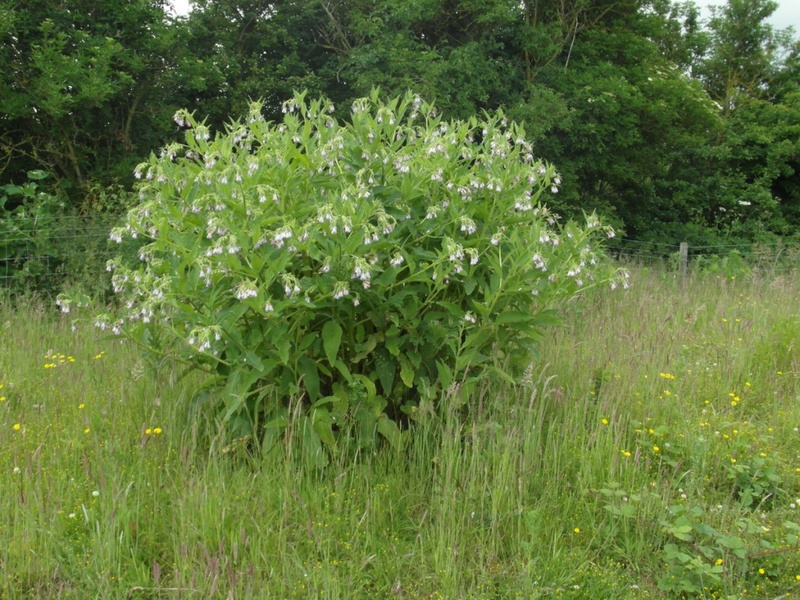 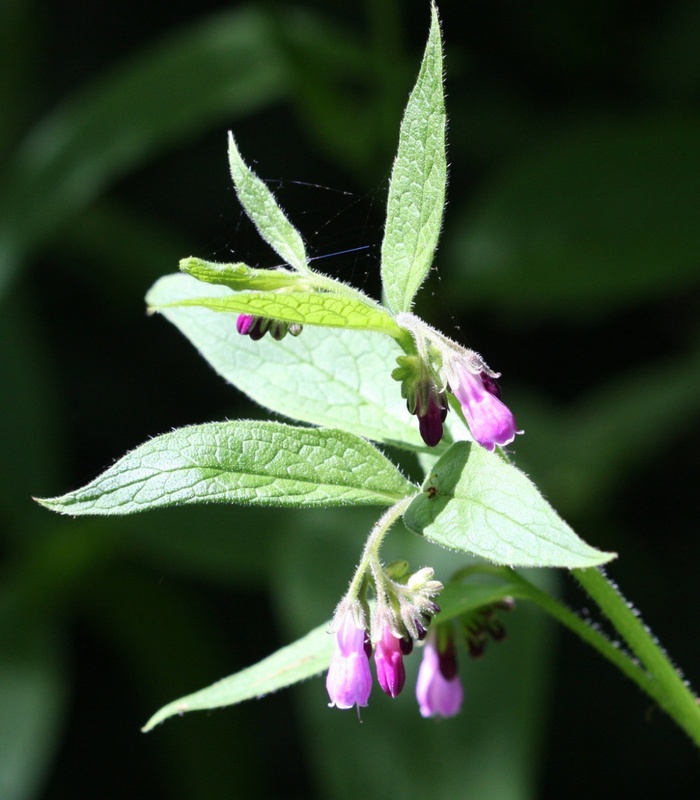 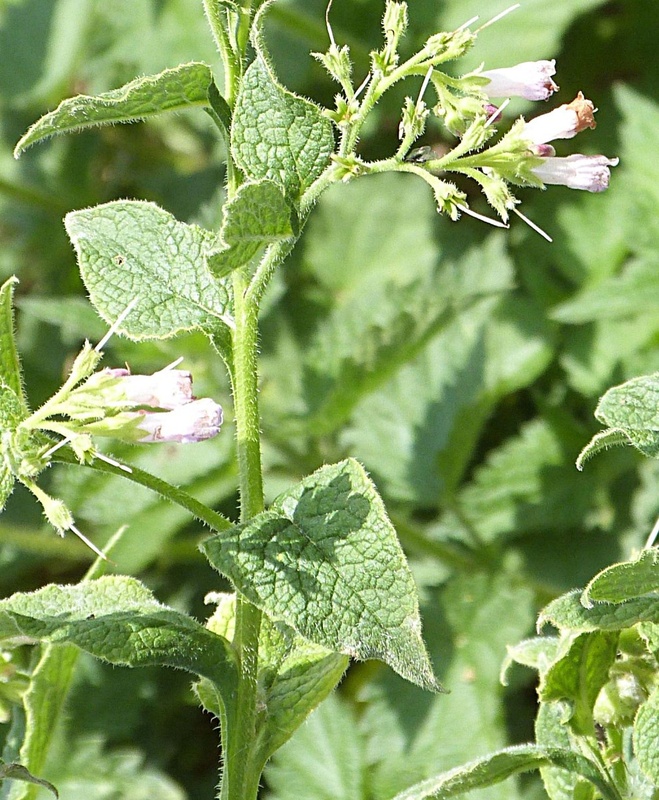 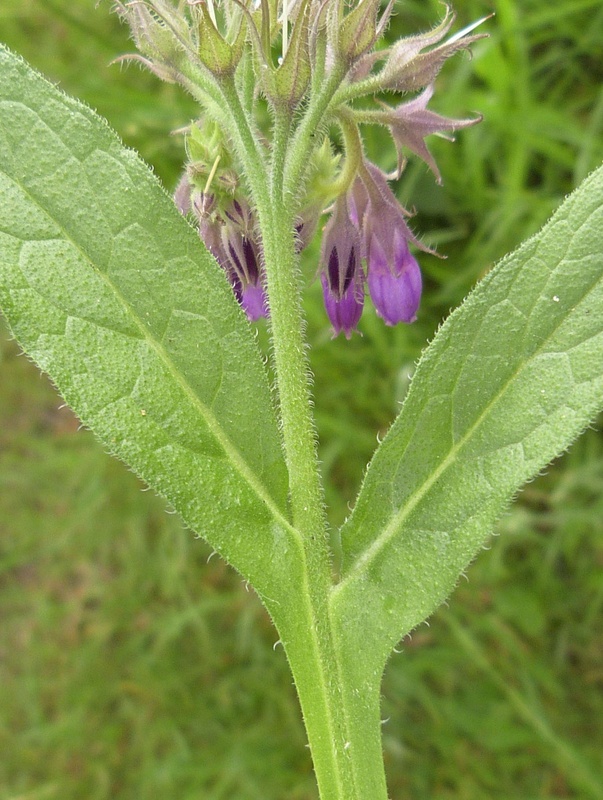 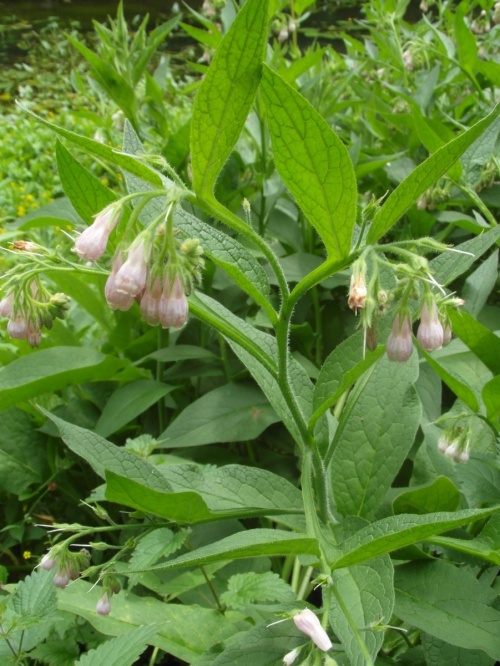 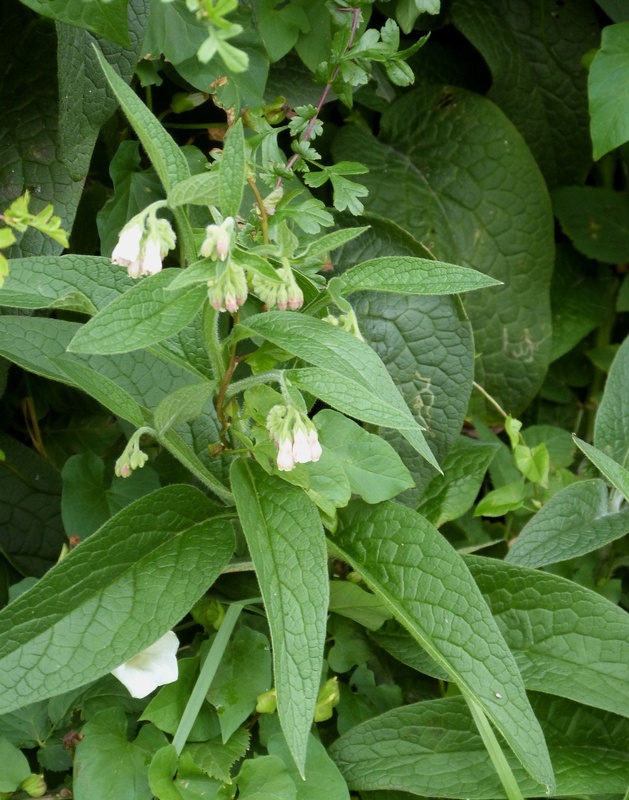 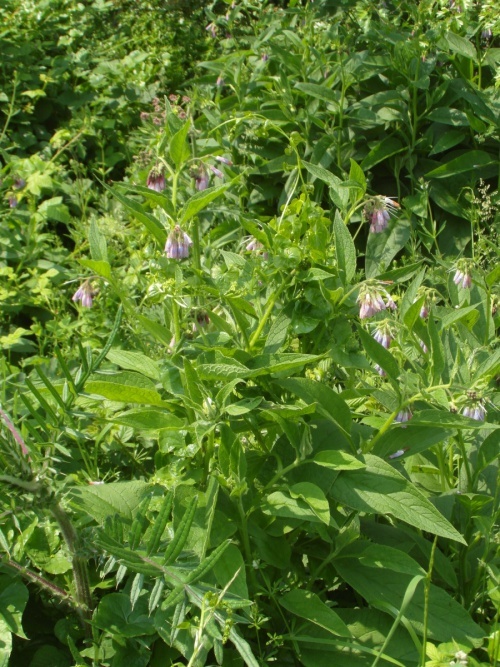 Common Comfrey agg. 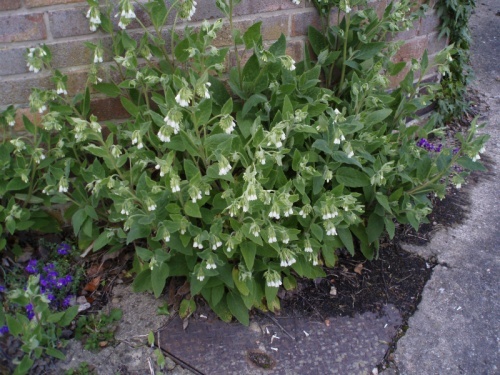 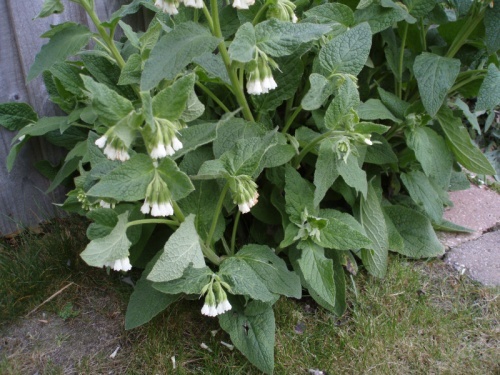 - Symphytum officinale agg. 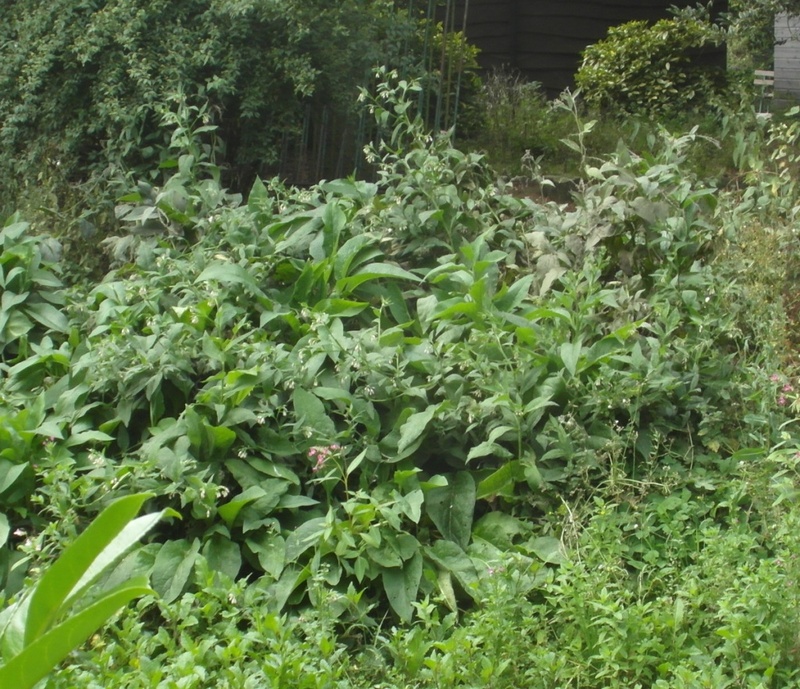 Stout plant to 1.2 metres. 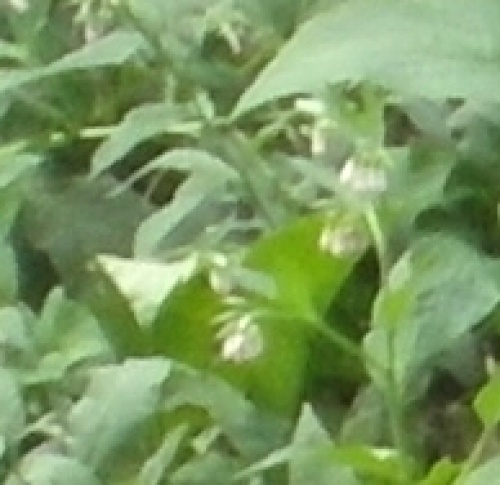 Stems erect, widely winged. 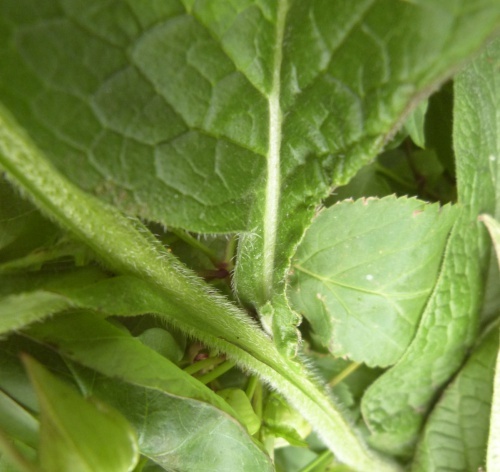 Leaves large and coarse, untoothed, strongly decurrent (the base running on to the stem), only the lowest stalked. 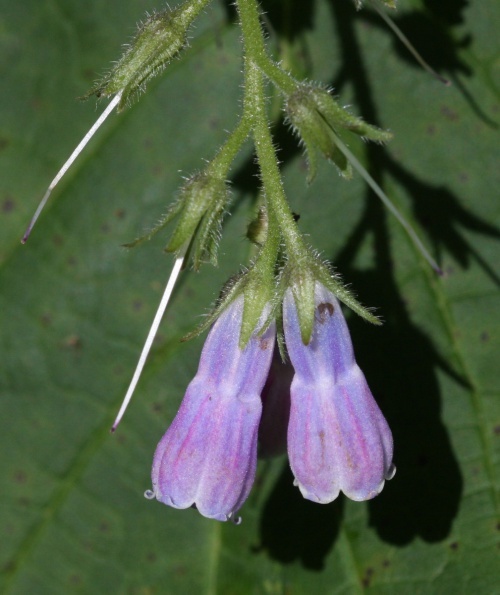 Flowers, pink, whitish or purple-violet 12 to 18 mm bell shaped with reflexed lobes, borne in forked clusters. Because Comfrey hybridizes freely and is so difficult to identify with certainty we have decided to treat Common Comfrey as an aggregate. There are few national experts who have the necessary expertise to arrive at a precise identification with any degree of certainty. 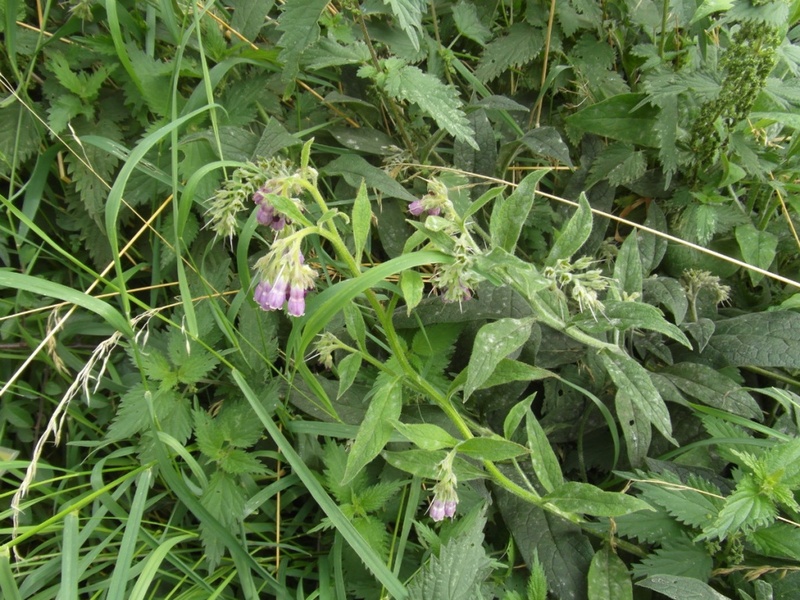 Damp grassland, roadside verges and banks of streams. 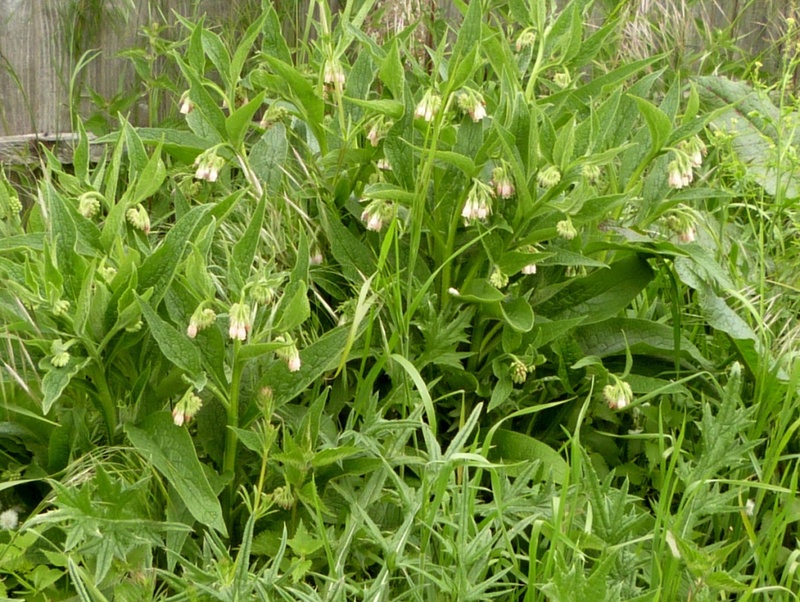 Found throughout Britain but scarcer in the North. Fairly frequent in Leicestershire and Rutland. 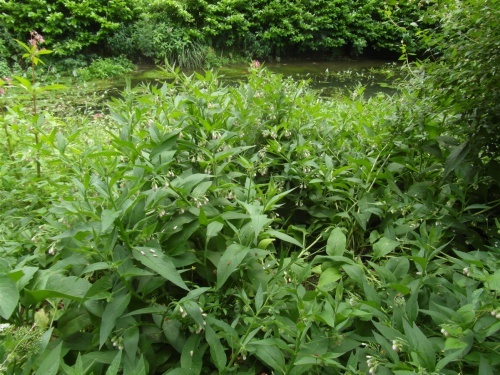 In the 1979 Flora survey of Leicestershire it was found in 80 of the 617 tetrads.